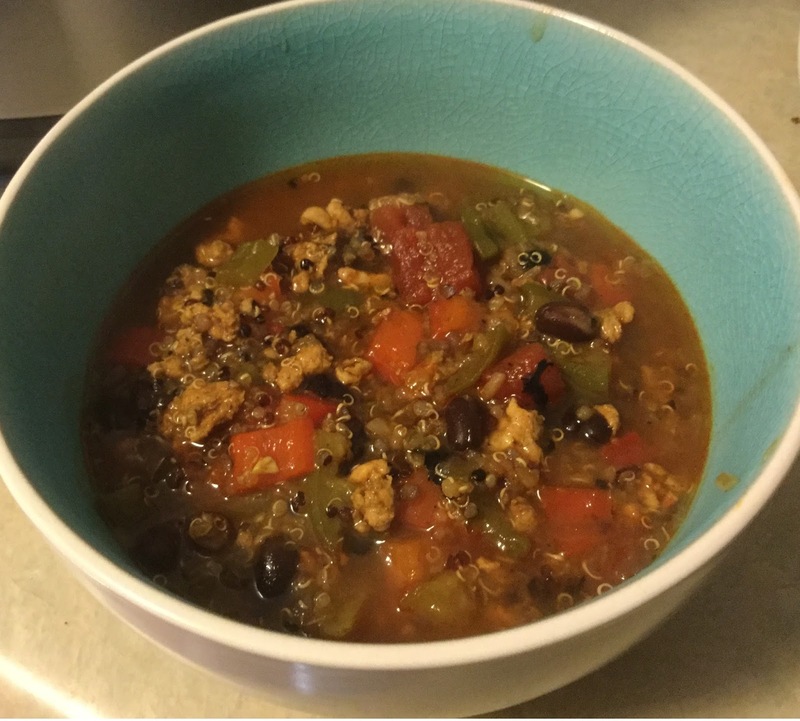 Single Girl Gourmet: Low carb stuffed pepper soup for the Instant Pot electric pressure cooker! Low carb stuffed pepper soup for the Instant Pot electric pressure cooker! It's a new year and we are on the low carb train for the month of January. One of my favorite dishes when eating low carb is a version of stuffed peppers. Instead of rice and meat stuffing you stuff the peppers with meat and black beans to keep the carb count low. It's delicious but it takes forever to make the filling and then bake the peppers until they are tender. So, since it's winter and I am lazy, I have adapted this as a soup for my electric pressure cooker. 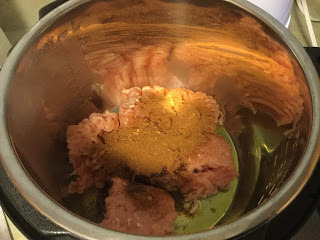 I made this in my 6-quart instant pot duo electric pressure cooker. We're doing a looser, modified low carb diet. Being a little less strict will help us to stay on it longer while still eliminating most sugar and hopefully dropping a few pounds. If you are doing a stricter low carb diet, you might want to modify this to reduce the total number of carbs, thus I have flagged the 3 biggest offenders in the list below - black beans, quinoa and canned tomatoes. These numbers are what is added to the total recipe and not per serving. This recipe takes approximately 40 minutes for prep, pressurizing and cook time. Turn your instant pot to saute on normal heat and add your meat, chili seasoning and garlic. My meat was extra lean, so I also used some olive oil in the bottom of pot. As your meat is browning, you will need to stir it occasionally, you can dice your peppers. After the meat is browned, add your peppers, tomatoes, black beans and quinoa to the pot. Pour in two cans of beef broth and add extra water until the contents of the pot is covered. All ingredients added and covered with broth. In the 6 qt IP, it will be almost to the fill line. I gave it a little stir to mix everything up and then set the pot to manual pressure cook high for 14 minutes. It will take about 10-15 minutes to come to pressure because the pot is really full. When it's ready, do a natural pressure release for 5 minutes (to reduce the chance the soup will spray out) and then quick pressure release. Now it's time to eat! What size instant pot should you buy?